Greenville, South Carolina - Gamma Gamma Lambda and Alpha Phi Alpha Greenville Foundation have announced their 2016 Martin Luther King, Jr. Citizenship Award winner, Bajeyah Eaddy. Ms. Eaddy will receive the award at the 37th Annual Martin Luther King Scholarship Gala on January 10th at 3 PM. Both Gamma Gamma Lambda and Alpha Phi Alpha Greenville Foundation are continuing our partnership with Furman University since 2008, and together they are sponsoring several events on Furman's campus starting with the Scholarship Gala on January 10th and continuing to the Joseph Vaughan Oratorical Competition on February 20th. "it is great to celebrate 37 years of service to the community. ", says Travis Smith, Vice Chairman of Alpha Phi Alpha Greenville Foundation, a 501(c)3 organization formed in 2012. "Our partnership with Furman has also allow us to address some of the tremendous needs in the community. The mission of this year's award truly aligns with our foundation's efforts to reach the community." 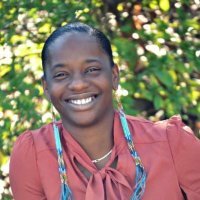 As an abuse survivor and CEO/Founder of Standing Against Violence Everyday, Inc. (S.A.V.E) for more than two years, Ms. Bajeyah Eaddy has led the effort in the Upstate to address the challenging problem of abuse against women. S.A.V.E, a 501(c) tax exempt non-profit based in Mauldin, South Carolina, was founded as an organization dedicated to and focused on helping rebuild lives, families, and communities through education on dating abuse and domestic violence. Nothing destroys the fabric of families more than witnessing or experiencing violence in action, word or deed. Many families find it hard to rebuild when violence has been introduced or children have been subjected to it from a very early age. S.A.V.E. 's focus is "Rebuilding hope in the heart, one person at a time!". Its vision is to rebuild lives, families, homes, communities, and neighborhoods by saving one person at a time from domestic violence and dating abuse, while simultaneously working to end violence of any and every kind. S.A.V.E. mentors and supports at-risk women by sponsoring group sessions with women and teens dealing with dating abuse. It makes a positive impact by helping people to know the signs of abuse through summits, church seminars, youth seminars and other community involvement. We are proud to count Ms. Bajeyah Eaddy among the many winners of the Martin Luther King, Jr. Citizenship Award.The Scholarship Gala serves as both a "kickoff event" to the Upstate Community's Martin Luther King Celebrations but also primarily as a Community Celebration of our shared goal to "Build the Beloved Community" in the Upstate. The Gala will continue to celebrate our past foundation youth winners with the upcoming events in January and February of 2016 (see the complete list of events). Tickets are $50 per person include a Dinner, Live Band, & Presentation of 2016 MLK Citizenship Award winner. College Students will speak to winners on their first of year of college; Financial Aid Seminar for Parents. Open to the public, MLK Youth Orators will speech on "Is there a Correlation between the Civil Rights Movement of our Past and the Civil Disobedience of our Present?"